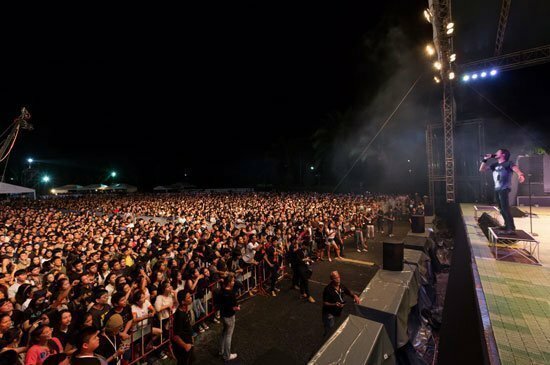 Part ticket sales to go to Phuket Punyanukul School. 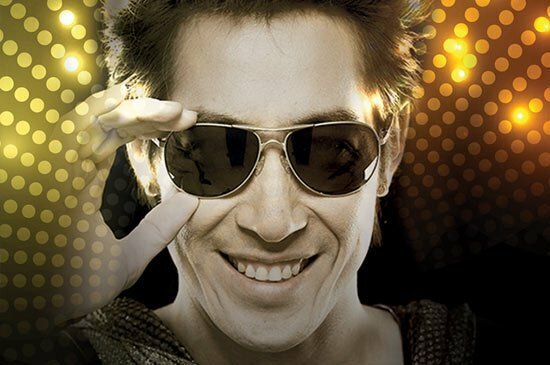 On 11 July 2015, 8080 café’ phuket presented “80 Men Concert”, a night with Tao Somchai Khemklad. 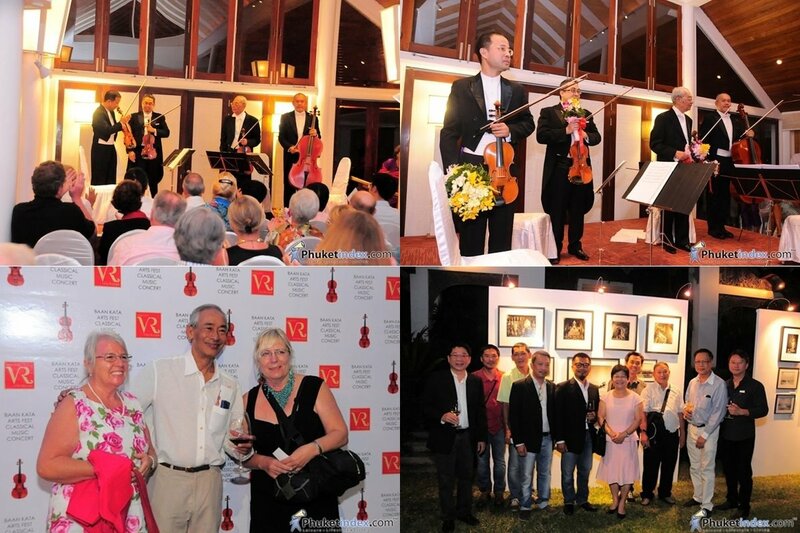 Yesterday evening, Tuesday 18th February 2014, Mom Tri’s Villa Royale held a classical music concert as part of the annual Baan Kata Arts Festival, a celebration of art and cultural events. 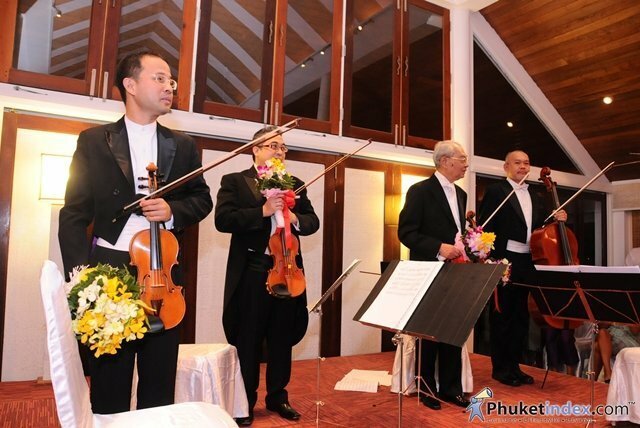 Mom Tri Devakul had invited the Pro Music String Quartet featuring M.L.Usni Pramoj on viola, Tasana Nagavajara on violin, Siripong Tiptan on violin, and Kittikhun Sodpraser on cello and saw the quartet perform Felix Mendelsssohn’s String Quartets in E minor, Op.44, No.2 which featured Allegro assai appassionato, Scherzo, Allegro di molto, Andante and Presto agitato. The also performed M.L. Usni Pramoj’s String Quartet No.3 featuring Moderato, Allegretto, Larghetto and Allegro. M.L.Usni Pramoj said about the choice of music “Mendelssohn’s string quartets were intended to be played by friends in his home and with the E minor quartet he certainly made them work. The opening Allegro assai involves fast moving scales and arpeggios with not much respite and must be played with passion. This is followed by even more hard labour in the Scherzo, testing each player’s bowing dexterity. The Andante, where one would expect to be able to relax a little, has a footnote by the composer warning players not to dawdle but to keep things moving, while the Presto agitato is guaranteed to agitate any string player. The E minor is regarded by many as Mendelsssohn’s finest string quartet. From the players’ point of view, the toil is well worth the effort.